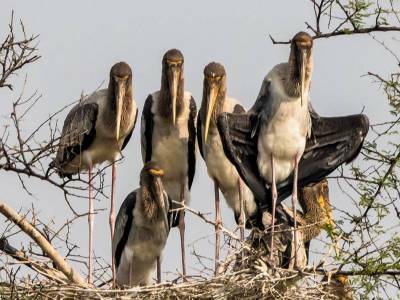 The Bharatpur National Park located in the eastern parts of the Indian State of Rajasthan is one of the famous bird wildlife sanctuaries of the world. 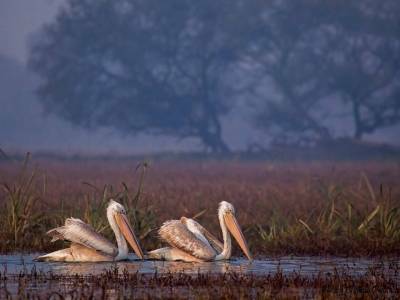 The current name for the Bharatpur Bird Sanctuary is Keoladeo Ghana National Park. Located in Bharatpur province of Rajasthan, India it is a world heritage site and one of the foremost avifauna or bird species reserves under the sun. 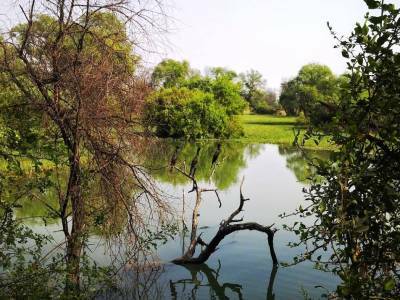 The Keoladeo Ghana National Park is also enlisted in the Montreux Record, being a wetland, following the regulations of Ramsar Convention. The Bharatpur region which is designated as the national park is a wetland made in order to control the recurrent flood in this region. This is one of the reasons for naming this region as Ghana in local dialect. The wetland is covered with log grass pasture, swamps, woodland, dry grass field and other marshy terrains suitable for avifauna habitation. History states that the sanctuary was made about 250 years ago by Maharaja Suraj Mal of Bharatpur in a natural depression after formation of the Ajan Bund. This part was a haven for birds of all kinds and a favourite fowl hunting ground for kings and Viceroys. 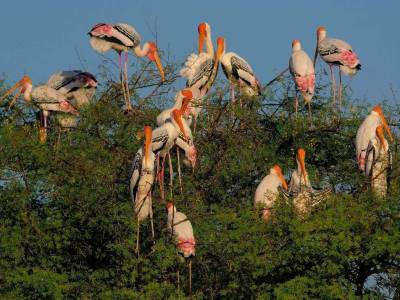 In the year 1971 the Bharatpur Baird Sanctuary was declared as a sanctuary and later its status was lifted to a national park in 1982. The park houses as many as 230 resident bird species and total of 366 counting in the migratory birds that visit the park during winters. Apart from these, the park has many fauna and flora species under conservation. This park is a heaven for ornithologists and bird watchers. Tourists also enjoy their visit to this serene and chirping bird sanctuary very much. The location of the park is about 5 KM away from Bharatpur Station. The park is well connected by roads and rails. 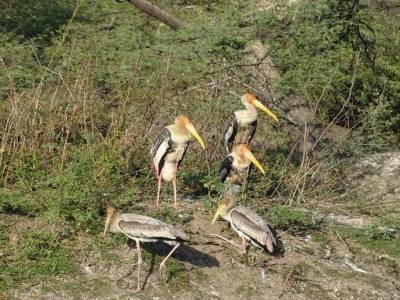 Get quick answers from travelers who visit to Bharatpur Bird Sanctuary.